You’re finally ready to see what all the hype is about in the Big Apple, but you’re not sure where to start on your journey. Chances are you won’t have time to do everything on your to-do list if you’re too busy jumping from one subway tram to the next, but you can buy yourself time with a private New York shuttle. A personal minibus can shuttle your group around the winding streets and cloud-piercing skyscrapers of the city all while keeping your caravan together throughout your travels. A personal driver will allow your group to sightsee city highlights from panoramic windows and stop at your choice of destinations along the way. As one of the highlights of New York City, Times Square is riddled with extravagant name-brand shops, a trio of eateries, spacious corporate offices, banks, and more. Frequented by neighbors, tourists, and locals, the strip can feel like a long-crowded walk without the help of a hop-on-hop-off bus to transport you around the city. In a private ride, you’ll be transported seamlessly. With the right angle, you can even see a 360-degree view of the square from your window before being dropped off at the beginning of the strip. Once you’ve finished exploring, you can bus to our next recommended stop, Rockefeller Center. Take the front seat as you shuttle through all there is to see and experience around Rockefeller Center. Head to the “Top of the Rock” Observation Deck to see a full panoramic view of the New York City skyline. The Rockefeller Center offers plenty of seasonal events such as a magical ice skating rink during winter months and a beaming Rockefeller Tree laced with holiday lights and decorations. Enjoy the sights on your time as your shuttle awaits you at the bottom! The Metropolitan Museum of Art collection includes more than two million works of art that have become key works in the history of the world. Once you’re dropped off at the entrance, you can walk through the door and explore the entire history of human creation from its earliest forms to modern times. Current exhibitions feature tour guides and voice audio tours of each art piece. Make memories in Central Park, an urban park on the Upper West Side of Manhattan. As the fifth-largest park in the world, its many paths are usually paved by thousands of visitors and local vendors, making it a challenge to navigate to and from the park by foot. If you’re tired of walking, you can enjoy the iconic postcard views of Central Park from the seat of a comfortable charter bus and travel around the city’s top natural green spaces with ease. A visit to NYC isn’t complete without experiencing the top of the world-famous Empire State Building. Located in the center of Midtown Manhattan, the view from the two observation decks are unparalleled by any other rooftop in the city. Get picked up by your personal driver on your time and schedule. A private minibus will allow you and your group to confidently and easily traverse your way around the city by yourself. From there you can bus to wherever you’d like! 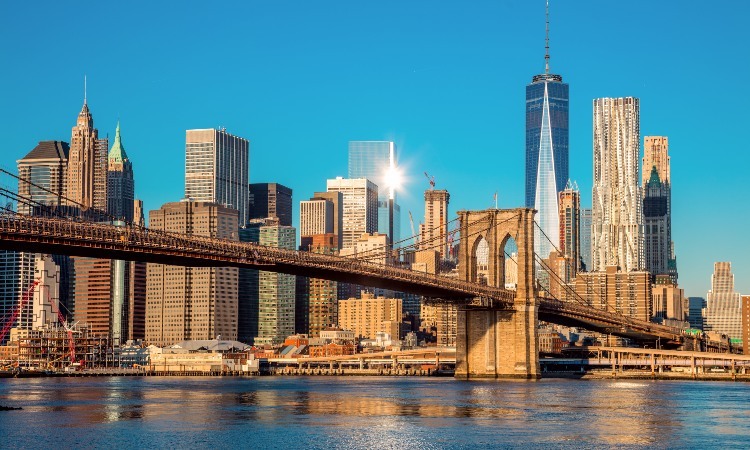 If you’re planning a trip to New York City and considering a private minibus rental for transportation, NYC Charter Bus Company will help you arrange the best travel options for you. Book your travels with one of our group reservation representatives today at 917-388-9602. How Much Does a Charter Bus Cost in NYC? We can help. Call us now 212-756-1283 to reserve yours.